Spice Up Your Poker Sessions and Stop Feeling Bored! Many people set off playing poker to win money, but as you play, you develop a shrewd likening to beating those at the table with your ability to read the other players while hiding your game plan. It’s a thrill that few other games or sports can match. However, spending hours at virtual or wooden tables can become tiresome, especially if you’re pursuing expert status. While the 10,000 hours rule has been all but debunked, there is an in-set need for players to stay sharp and to accrue lots of experience and poker hands in order to get better. Sometimes, to keep this going, you need to spend more hours at the table than you would like. Therefore, finding a way to spice things up and make the game interesting again is a good thing, and can help you a lot at the beginning. If you lack the excitement at the table, you should concentrate on observing your opponents. By seeing which poker hands they take to showdown, what betting lines and sizing they use with weak and strong holdings, you will be able to identify their patterns. This will help you read other players and learn when to make a huge bluff or a hero call to take a massive pot, and that is always fun. This idea might seem ridiculous at the beginning, but read it through and judge only then. Annette Obrestad, also known as Annette_15 or ‘The Huntress’, is a world-renowned professional poker player from Norway. She rose to prominence in 2007 by becoming the youngest ever World Series of Poker bracelet winner by claiming the inaugural World Series of Poker Europe Main Event on the eve of her 19th birthday. Obrestad has been a point of intrigue in the poker world ever since, with her stories of playing blind being particularly intriguing. She started playing the game of poker from her computer and learned how to assess her opponents online, testing her skill by playing with her hole cards hidden. Through doing so, she had to focus all of her attention on the actions and reactions of players at the table and ended up winning online tournaments using this method. Obviously, playing cash games without seeing your cards would be a disaster and you should never try it. However, this could be a very good training situation for ICM spots in tournaments and sit&goes, where your cards do not matter so much and you should be playing your opponent and situation instead. If you learn that, you will likely have an edge over other players and will be reading these situations better. Just make sure not to put too much money on the line while training and you should be good. And if you want to actually be sure which hands to open, make sure to grab my Texas Holdem poker cheat sheets. 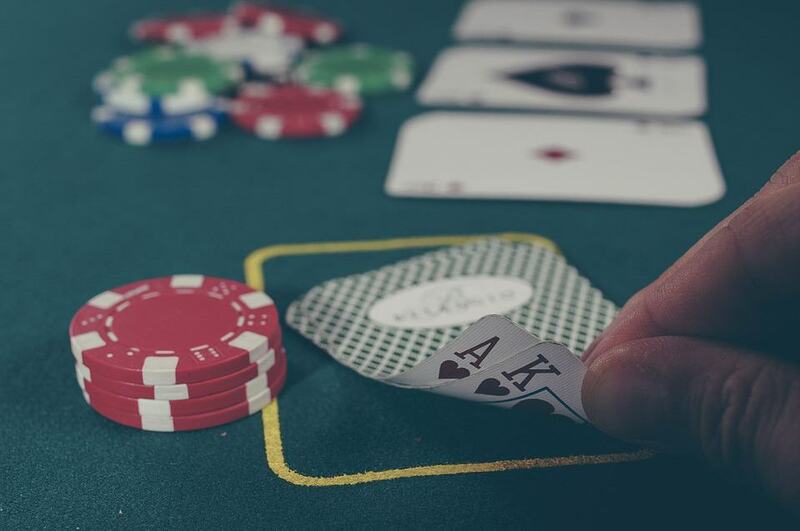 Despite the ocean of poker options out there, most players will stick to a preferred poker website, most likely one designed for the sole purpose of hosting online poker games. Using the same website over and over again, though, can become boring as few poker platforms alter their offering too often and many of the same players, regardless of their skill, continue to play at the same site. 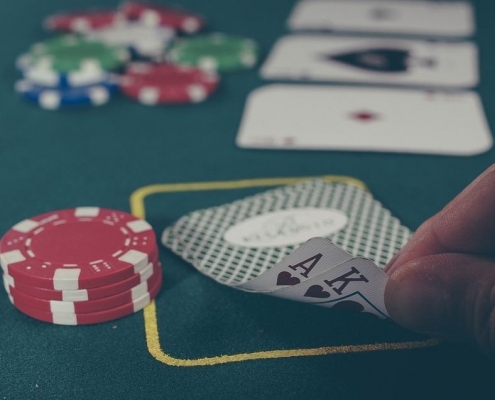 One of the best ways to step out of this rut is to go on to another website, and if you really want to spice things up, try playing at a website which isn’t an exclusive online poker site. By turning to a website like redbet poker – a brand which also offers online casino games and sports betting – you’ll be able to find weaker competition, which is a perfect way to have some fun. On top of that, instead of strictly playing Texas Holdem poker, you can try different variations like PLO, Razz, Stud or any of the draw games. This will surely be exciting and can even help you learn a thing or two. If you want to dig deeper into advanced poker strategy, learn more about check-raising, bluffing and other vital concepts, you can always check out my complete training program “Poker Formula For Success” and make your life even easier at the tables!